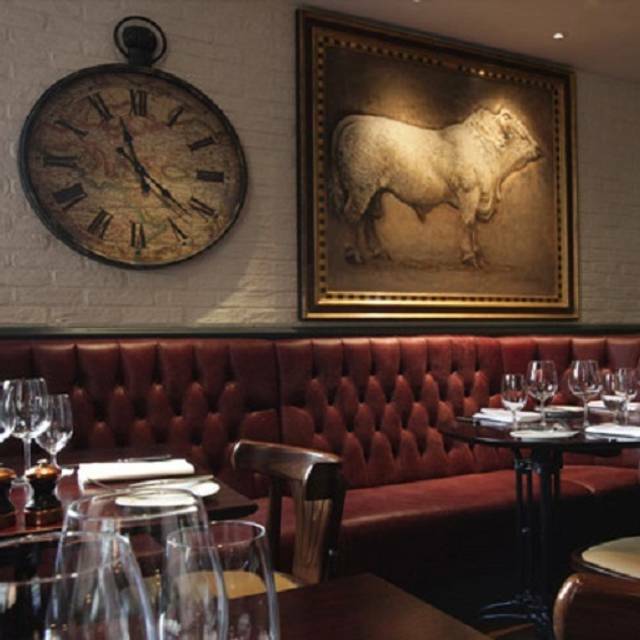 You must make bookings at least 5 minutes in advance of the time at Reform Social & Grill. Bond Street and Baker Street tube stations. The Private Dining Room at Reform, Social & Grill is the ideal space for a number of celebrations or corporate events. The Private Dining Room holds up to 12 guests seated for dinner or 30 guests for canapés and champagne. The room is perfect for birthday or anniversary celebrations with friends and family, intimate wedding breakfasts or a business dinner where both quality and privacy are paramount. There are a selection of set menu’s available upon request and we are happy to create bespoke packages to meet all budgets. The room is available for either lunch or dinner and can be booked for meetings during the day as well starting from 11amand has an added benefit of natural day light. The Red Room is a contemporary, vibrant room with a capacity of 20 for a private dinner or 50 people for a cocktail party. 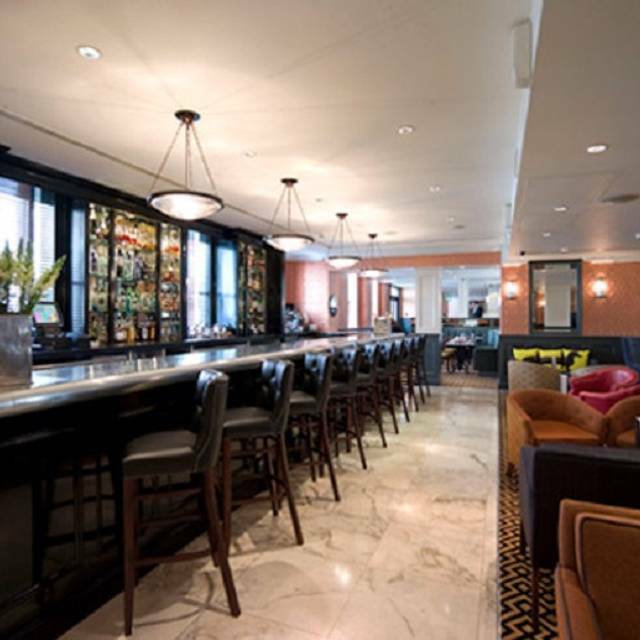 Reform Social and Grill brings an authentic British experience to Marylebone and The Mandeville Hotel. Taking inspiration from regular British gentlemen’s clubs, sink into luscious leather banquets and indulge in Reform Social and Grill’s all day dining menu, every day. 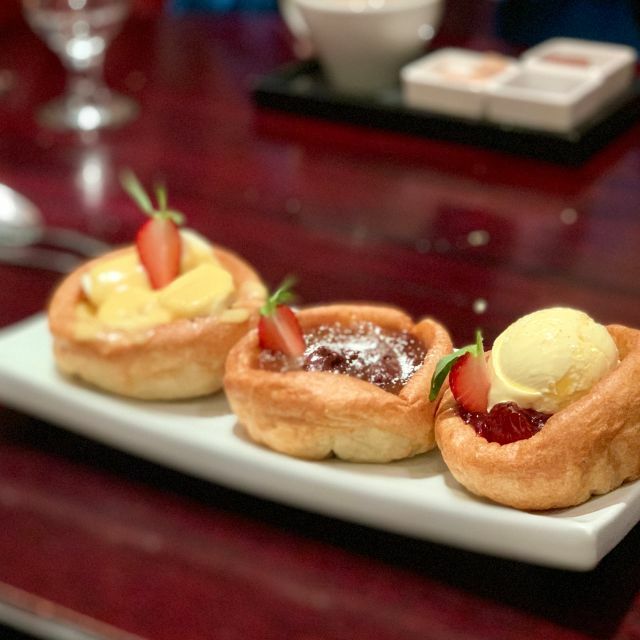 We enjoyed Yorkshire pudding dishes which is the restaurant’s feature. My friend who came from another country and wanted to have Yorkshire puddings was so happy trying them with various toppings. Great idea! We definitely wish the restaurant to continue it. The restaurant is spacy and has quite a few tables. No unnecessary loud bgm which is nice. The staff is friendly and thoughtful. I would definitely like to go back there! Reunion with old pals made better by the super friendly staff and top notch food. A hidden gem! Surprisingly quiet for a late lunch on Saturday - so quiet in fact that the cocktails we had been recommended (by the restaurant) that we make time to sample were not available because the cocktail bar-person was off-duty. Once we had passed that disappointment, the rest of the afternoon was very pleasant, aided by excellent service and food that was well-executed (barring a few bits of shell in the crab salad and a somewhat less than melting portion of belly pork). A very handy venue for the Wigmore Hall, and for Oxford St shoppers looking to escape the retail fray. I'd happily return to this place to see how it's evolving - and I still want to sample the cocktail menu! We were on holiday in London and had Christmas dinner here. Lovely, warm environment, very nice service, and delicious food. Reasonable service having first been told, after having ordered coffee, that there was no cooked food available. Ten minutes later the waitress came back to say that the kitchen was in fact working. The food wasn't great - how hard can it be to cook scrambled egg? Not on my list of places to go back to! Went for my dad's birthday and it was absolutely brilliant. Great food, service, atmosphere and music! Would definietly return! Reform Social & Grill is a lovely restaurant; staff attentive but not intrusive, ambience was lovely. Food did not meet expectations; we went for Sunday lunch. It was a good, gastropub standard meal for top-end restuarant prices. I'd go again, with lower expectations and thoroughly enjoy it. The food was great, 4 choices from each course of the Sunday lunch menu; I had the smoked salmon, roast beef and toffee apple crumble (although I did have jam reply poly food envy someone else ordered that was devine). The prosecco really was free flowing, waiters attentive, all whilst listening to a guitarist taking requests! Excellent value for money and will be retuning! Our waiter at first was a little patronising to begin with but towards the end he seemed to be in a better mood. The food is good but nothing to go crazy about, however the waitress who took our desert order was so nice and personable. I gave this place a higher rating because of her. Ideal also for business meetings, benefiting from a central locate, constantly good service, and enjoyable steaks. So the surf and turf comprises a good steak, some snails (very welcome!) and some deep-fried king prawns, these latter being entirely superfluous and adding nothing but a flavour of batter. The dressing was very oily too and, despite having ordered in advance a steak-and-chips meal, the meal the waiter took pains to convince me to switch to didn't include anything other than the meat! We booked a special offer (steak or lobster burger with a half bottle of wine) with Opentable which specified a half bottle of Malbec or Chardonnay. When we tried to order we were informed that the wines had been changed to cheaper alternatives and the waiter refused to honour the original offer. Service was far from friendly for the rest of the meal. The food was fine but we won't be returning. 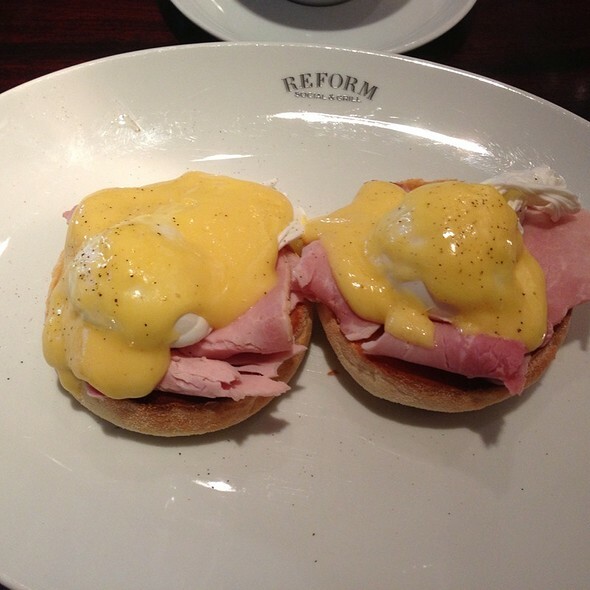 Reform Social & Grill is a sanctuary to escape the chaos of Oxford Street/ Bond Street. 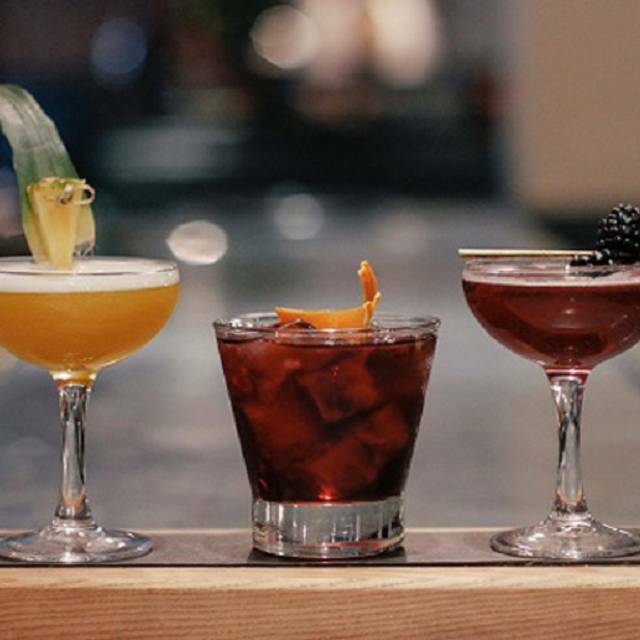 Amazing cocktails, food and service and a relaxed but posh environment. Particularly love their steaks and you must save space for their desserts, especially the Toffee Apple Crumble, Sticky Toffee Pudding and The Reform Mess. Have enjoyed several visits, planning another visit again soon & they come highly recommended! Went on a Group on deal. My friend enjoyed the lobster burger, l found the hanger steak a bit tough. Overall very good deal which included wine. Service was ex ellent they didn't treat you any different because you're on a groupon deal unlike some places. Our waiter was very friendly. I would also recommend a cocktail at the bar, professionally made worth paying for. I cannot fault either the food or the Service here, I just wish more people knew about it! The price is fair for what you get but may be a tad on the expensive side, which is why it is not always full. Made a last reservation for Sunday Breakfast. Venue was very quiet (only 2 other tables were occupied) and staff were thin on the ground. Having said that, we both ordered the full English breakfast and the food was well cooked. Black pudding was particularly good. We were given 2 slices of toast cut into halves for 2 people and I thought this was a bit miserly. Toast was served on a plate ( not a bread basket or rack) and again this was a little disappointing. Overall, a good breakfast option to kick off shopping but not outstanding. Went there for lunch, and we were the only ones in there. This was Friday at 1pm. Because the waiters weren't busy, they weren't available. I was in a booth a little out of sight, so I never had any waiter foot traffic. Lunch for 2 took 1 hour and 45!! When the food arrived it was average at best. I won't be going back. but it didn't taste of lobster! Lovely food and very good service. The service has been consistently poorer, as the staffs are constantly changing. From something of a good concept with enticing marketing ideas from the beginning, it has now turn to be an impersonal service like any average restaurant in China Town. The fact that this is a hotel that unable to deliver the service to the hospitality benchmark is rather absurd. We love the Reform. Its our go-to place and their 2014 menu has just gotten even more exciting! My dinner partner had her staple of lobster burger and chips which is always brilliant. And the Reform still makes one of the best chips in Marylebone. I had the deconstructed mac&cheese that came in the form of soup with dumplings and deconstructed hotdog which was lightly fried pollack in a hotdog roll with mushy peas and a portion of polenta chips. A few more polenta chips would have been welcomed as the five on their own looked a little sad... Each dish was well executed with plenty of flavour. I will have the same meal again. Serivce as always - warming, polite and friendly. Thank you Reform! For a relaxed Friday evening with friends, Reform was really good. 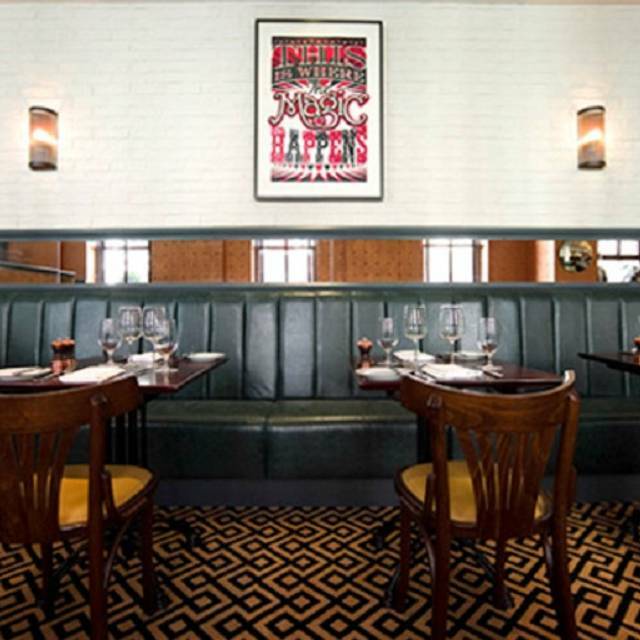 Nothing too OTT or pricey, with a good wine list and a buzzy atmosphere. You certainly wouldn't know it was connected with the hotel. 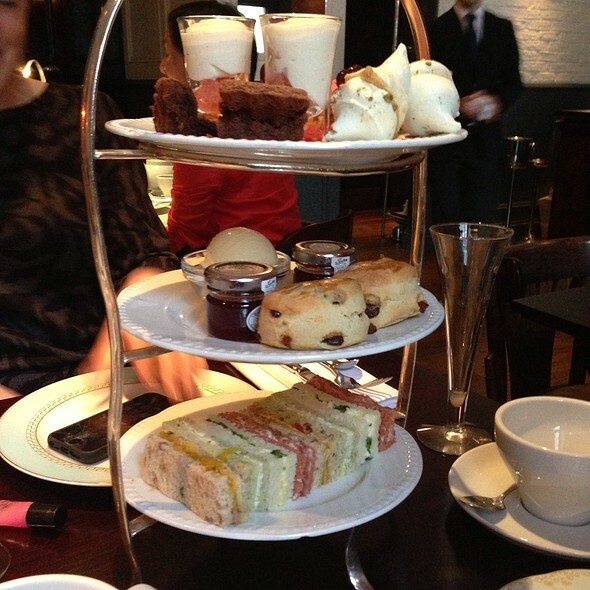 Took the boys for afternoon tea and they loved it! Great to see the staff looking after customers with great care too. Never having had a lobster burger before, I was tempted by the offer of hanger steak or lobster burger and half a bottle of wine for £16 at Reform Social & Grill. The place was deserted when we arrived, not normally an encouraging sign for a Friday lunchtime but suited us as we could talk easily and openly. The wait staff were very welcoming and friendly. We both opted for the lobster burger; it was tasty enough but a tad underseasoned for my liking and a trifle bland too. With a spot of tabasco and liberal seasoning, it was much improved and washed down by a perfectly acceptable if unmemorable Italian white. If you are looking for bags of ambiance, you might want to look elsewhere but then again what do you expect from a hotel restaurant? Reform Social and Grill had a nice atmosphere and the waiters were friendly. I do like the Reform a lot as the food and ambiance are generally very good, although it seems if you are eating on the steak/lobster offer as we were then you should expect service to be given at a minimum, which is a shame. For example we ordered a side which never arrived; a wine bucket was placed at the end of the table which we couldn't reach but then no-one was prepared to top up our glasses despite constantly walking past us, so I ended up getting up and doing it myself, looking rather awkward. I would go back but knowing that if you are on an offer it's not the same experience as the a la carte. Went as a group of five. Friendly and attentive service, and all the dishes ordered were good or very good. But the restaurant was near empty and lacked ambiance. Perhaps this just reflected the fact that is was just after New Year. Good value for money with a group booking. Amazing food selection and portions! I loved this. It is not cheap but you do get what you pay for! We had a good meal here, excellent value but menu a bit limited for the health conscious amongst us! The service was slow considering only around 6 others in the restaurant. The food was good qua6ilty but unfortunately was warm/tepid at best. The plates were cold so the steak got cold very quickly. Had a really good evening dining with friends at Reform. Great service, the lobster burgers were delicious and we couldn't choose from the delicious sounding selection of desserts. Would definitely return. We arrived slightly early for our lunch booking, but were warmly welcomed and shown into the bar area where we had a lovely cup of tea. Then we were seated in a very comfy booth, and were served our lunch - the special offer 'Steak/Lobster + Wine' deal. Food and wine were superb, as were the atmosphere and service! Would highly recommend, and will definitely go back again. We visited with some friends and took advantage of a meal offer which turned out to be of outstanding value. Too often with meal deals you get the feeling that the meals have been toned down to meet the budget but not here. First class food, wine and service.